Minecraft, which innocently started out as a vast open-world block-based game, is probably the closest thing to crack cocaine for kids. Its popularity with the grade school set is likely what helped it become one of the best-selling games of all time, turned the game’s developers, Mojang, into a prime acquisition for Microsoft, and made its creator a reluctant billionaire. But part of the reason why Minecraft is so great and powerful is that it encourages kids and adults to think beyond play and into construction — developing machines and creating pretty much anything your imagination can dream up. That company is now taking that philosophy to the Hour of Code campaign, a week where educators and parents are invited to help every US student spend an hour coding. In a partnership with Microsoft, Mojang has developed a Minecraft-themed lesson plan with 14 different puzzles. 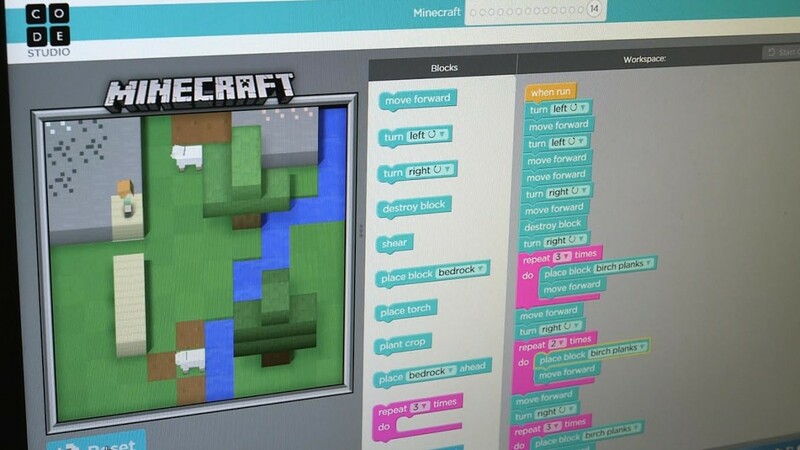 Designed to be completed in an hour and catered to children as young as six, the lesson plan teaches common coding ideas like loops by inviting kids to move a character around the world of Minecraft. The lesson is completely free and browser-based, and is available now. If you’re looking to get your child into coding, using the guise of Minecraft is a great strategy.